Sikorsky Aircraft Corporation is a world leader in the design, manufacture and service of military and commercial helicopters; fixed-wing aircraft; spare parts and maintenance, repair and overhaul services for helicopters and fixed-wing aircraft; and civil helicopter operations. Sikorsky helicopters are used by all five branches of the United States armed forces, along with military services and commercial operators in 40 nations. A passion for aviation drove immigrant Igor Sikorsky to establish The Sikorsky Manufacturing Corporation in 1925 on Long Island, New York, and the company later became The Sikorsky Aviation Corporation. In 1929, Igor purchased land in Stratford, Connecticut, and the company became a subsidiary and later a division of United Aircraft Corporation, which evolved into United Technologies Corporation in 1975. In 2015, Sikorsky was acquired by Lockheed Martin. Headquartered in Bethesda, Maryland, Lockheed Martin is a global security and aerospace company that – with the addition of Sikorsky – employs approximately 126,000 people worldwide and is principally engaged in the research, design, development, manufacture, integration and sustainment of advanced technology systems, products and services. Today, Sikorsky Aircraft Corporation stays true to the legacy of Igor Sikorsky with a goal that encompasses his passion for safety and innovation: "We pioneer flight solutions that bring people home everywhere...every timeTM." Sikorsky helicopters have saved an estimated 2 million lives since performing the world's first helicopter rescue in 1944.. 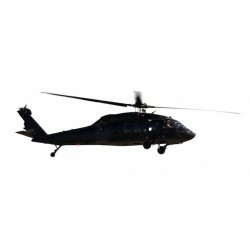 Brand new commercial variant Black Hawk S-70i rotary wing aircraft. These aircrafts have never been registered and are available for delivery within 2 years. *additional light-used aircrafts are available within 3/6 months.